Well, if you’re any sort of gamer or gaymer1 you probably know the 2nd game to Destiny has dropped. The first game captured my attention more than any previous game ever. I was totally hooked. I didn’t even mind the grinding2 so much as others. One of the biggest complaints surrounding the first release was content. Bungie released the original disc with the full game plus much of the first DLC3 already on the disc. Not a big deal until they charged for the first DLC. Many folks were rightfully pissed! To their credit using many of the same worlds in different ways was ingenious. However, charging your user base for content already on the disc was just foolish and greedy. Ironically, the games popularity persisted and continued to grow. Bungie stumbled many times during the lifespan but came clean on some of the big items and promised bonuses to make up for it. And speaking of content, many folks felt the game lacked variety even after several brand new DLCs dropped throughout the first two years. Bungie admitted it was hard to crank out new content for consumption due to how the game was built on the back end. In a game of this style with such a large user base, content is everything. The only saving grace was crucible and strike matches. Crucible was player vs player, solo or in groups. Strike missions are teams of players against the environment. The level of variety and skill in these arenas really saved the game. Otherwise, I think it would have gone down as brightly as it arrived. The new game is supposedly built completely different and should allow for more actual new content more often. So far disc 2 has once again captured my total attention. Even though many of the same enemies have been brought forward, it is different enough to feel new and the same, in a weird sort of way. I’m not quite in awe as I was the first time though. I’m not a fan of much of the new shading and ‘realness’. Another big complaint in the first game was wasted time bouncing between social spaces accesing upgrades and cashing in loot and space/destinations. It was an incredibly annoying time killer. In the new game the simplifications are almost too simple. It keeps breaking my sense of continuity in the game. Granted, as I get used to the new game this will probably go away. I’m only 10 or so hours in and there are supposedly upwards of 150 hours of campaign game play alone. If you play, feel free to add me. If ya do, send me a message so I know how you found me. I tend to ignore random friend requests when I don’t recognize the player. . I’m PS4 only this time too. No back and forth on the two consoles anymore. Microsoft is steadily ruining the Xbox IMO. So, I was kinda so-so on it. I’ve never been much of a Nintendo fan after the 64. It just felt cheap and childish. I know, those are fighting words for some. haha As Sony & Microsoft seem to be trying their best to out-do each other in processing power and graphics, Nintendo seemed to be obsessed with portability. And while in the beginning, that meant cheesy graphics and retro style games, I have to give them credit. As a device the Switch is pretty polished for a portable console. The gimmick is you can dock it at home to play on your tv and just pick up the console and walk away and keep playing. And you can! It is virtually seamless. If your mid-game, it automatically pauses and you can pick up where ever you are. It’s light, clean display, and easy to carry around. All good things in the portable world. That isn’t to say it doesn’t have it’s drawbacks. There are more than a few, but not necessarily deal-breakers. First, the online environment is virtually non-existent; no chats, not even messaging. Adding someone as a friend is a bit laborious. You have to give them your friend code outside of the console. You can only do it from the console if you are connected to the same wifi network. Your left posting by email, chat, social media, etc to gain friends. It doesn’t appear to have bluetooth; however, the consoles connect wirelessly to controllers so either it’s bluetooth or wifi direct.1 And don’t get me wrong, you can play other players online. Depending on the game, you can play with friends or find random people. But besides their eStore, there isn’t much else. Apparently, Nintendo is planning to open up and expand an online option. Shawn says it’s been in the works for awhile and appears to be coming to fruition soon. Of course, the simplicity of it isn’t such a bad thing. Simple means less clutter and less distractions. I kinda looked down on Nintendo for this but it isn’t really that bad. If they added a better option to find friends, it would be a win for them IMO. The new part is the controllers come off the main console. You can play with both controllers or share one with a friend to play multi-player. This is the ingenious part. It truly makes the game portable. The only down side to this is if you want to connect to another tv,you have to have your dock with you or they have to have one. Apparently, there isn’t a cord adapter…yet. Playing multi-player on a small screen isn’t the best option so this will need to happen if they want it to really succeed here. You can also buy a full size controller (much like a Xone or PS4 one) as well. It’s a bit of a sticker-shock but it works. But, they include an adapter to attach both of the console controllers to that makes it feel like a full size one. It’s really quite ingenious. So if you don’t want to spend the bucks, this will still work fine. I use both or either and adjusting to the feel and grip is pretty simple. You can ‘share’ to social media so the idea is basically the same in connecting to find friends. Shawn started playing the new Zelda game and after watching him for a bit, I was intrigued enough to play on my own. To my surprise I like it. Actually, I love it. And the game play is phenomenal. I’ve already put in about 90 hours and I’m only half way thru the game. That’s stellar for any console. My biggest annoyance is the need to stop and read story-lines. It kills motion and rhythm. And while it still annoys me, it isn’t overly bad. You get plenty of action and movement without interruption when you’re not trying to interact with denizens of the game. Shawn has almost beat his now. I’m still doing all the side quests. It’s surprisingly addictive. Beyond Zelda, there aren’t many other games that interest me so far. Being new, that isn’t unusual at all. Much like the latest versions from Sony/Microsoft, the Switch isn’t backwards compatible. However, the new style controller gives rise to all kinds of fun ways to play. Better than Microsoft’s gimmicky Kinect add-on.2 Hopefully, a few other games will grab my attention. I definitely like the mobility of it. Of course, Destiny Disc 2 is dropping soon. It will completely steal me away from the Switch for awhile. hehehe If you can afford it (and can find one in stock) it’s worth a buy if you’re already a Nintendo fan. You’ll be pleasantly surprised. If you’re not, find a friend and try theirs. You might end up being a convert like me. I was all set to ramble on about Destiny the game eating up on my attention in gaming until I came home last night to a surprise from Shawn. He got me the new Ratchet & Clank! I didn’t even know it was out yet! What can I say? He gets me! I’m sure you are just dying to know my game habits. Yes, I’m still playing Destiny. I stopped for awhile but it pulled me back in. I’ve exhausted all the content but for some reason I still enjoy the Strikes , the POE1 and even the occasional side mission. There is one more DLC2 due out this year before Game 2 drops in 2017. Game 2 is expected to be a whole new group of planets with all new content. I switched back to the XOne for most of my game play. (I have it on both consoles, don’t ask! lol) Many of my buds play are on PS4 but I just seem to enjoy the XOne version better. The new Gears of War is out very soon. I played the beta, which was focused on multi-player. The graphics were stellar as always. Then there is the new version of Doom finally being released after what feels like an eternity of promises. Again, the beta focused exclusively on the multi-player. It’s getting really frustrating that many of my favorite games are all shifting away from single player or campaign modes to multi-player. I get it, there is more money in multi-player but don’t forget the players that made you famous in the first place. Many of the top developers are practically falling all over each other to churn out the multi-player versions of their respective games. They end up being the same story with different graphics. Ugh. Don’t get me wrong, I like multi-player games, but I don’t play for ego or competition. I play for fun and don’t mind a little competition. I think Destiny holds my attention so much because it captures the best of both. 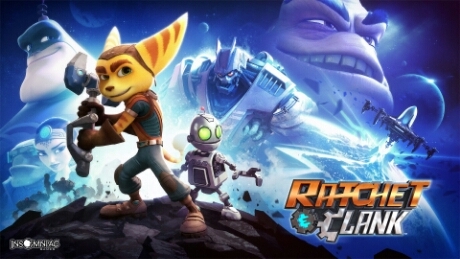 Anyway, Ratchet & clank is calling my name so gotta go. . .